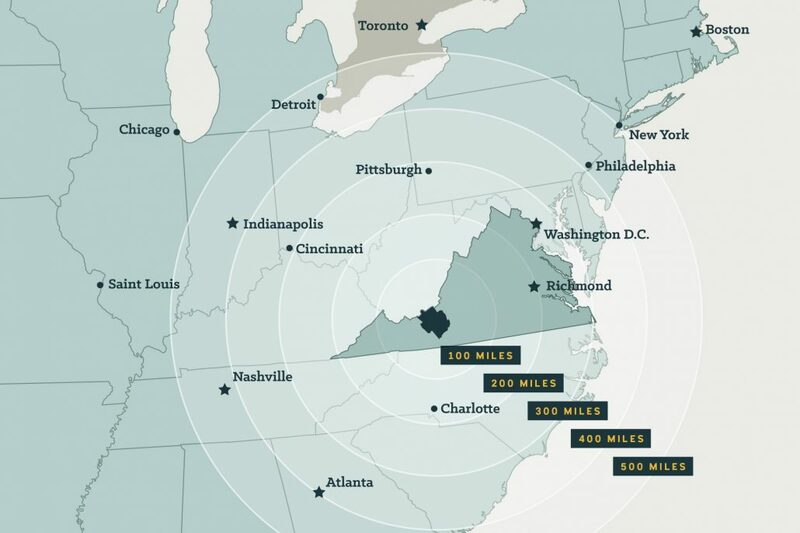 Virginia Tech, one of the nation’s leading research centers, is in the Town of Blacksburg, and Radford University calls The City of Radford home. New River Community College also has campuses in both Pulaski County and Christiansburg. 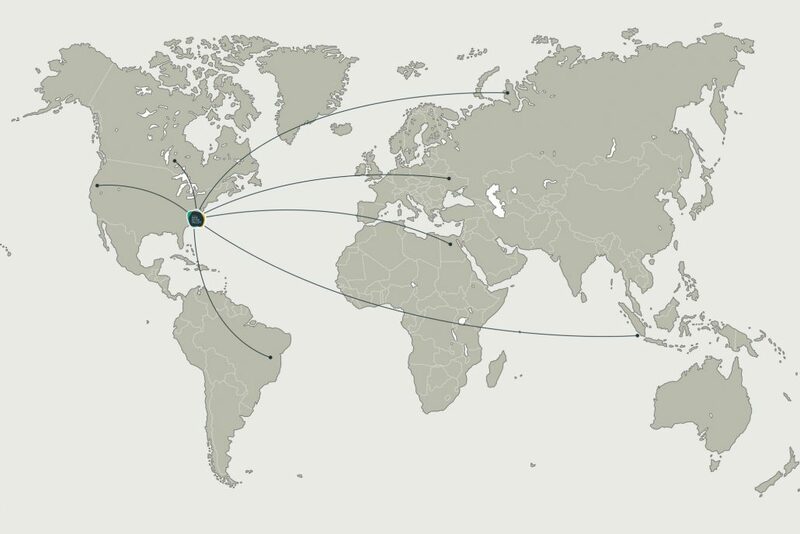 These leading higher education institutions connect the New River Valley to the rest of the world. Plus, each of these institutions contribute to the well-educated and highly-skilled workforce that drives our region forward. WHAT MAKES UP THE NEW RIVER VALLEY? 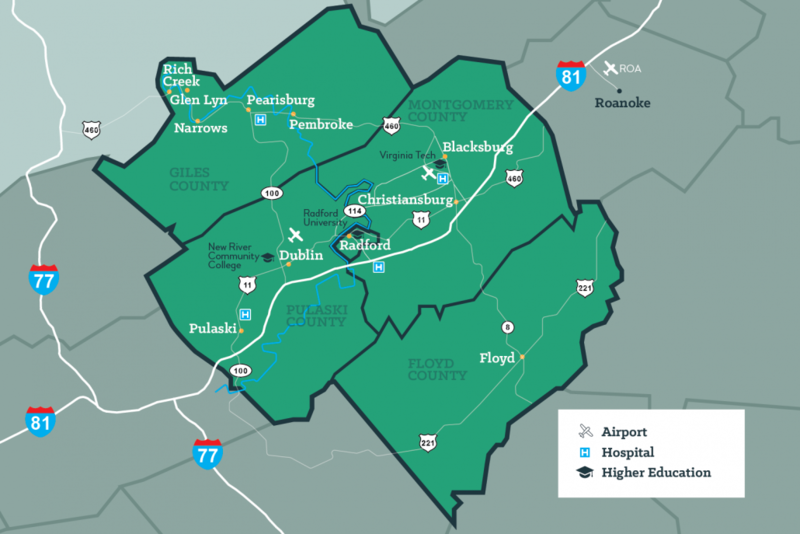 Virginia’s New River Valley is made up of one independent city (Radford) and four counties (Floyd, Giles, Montgomery, and Pulaski). 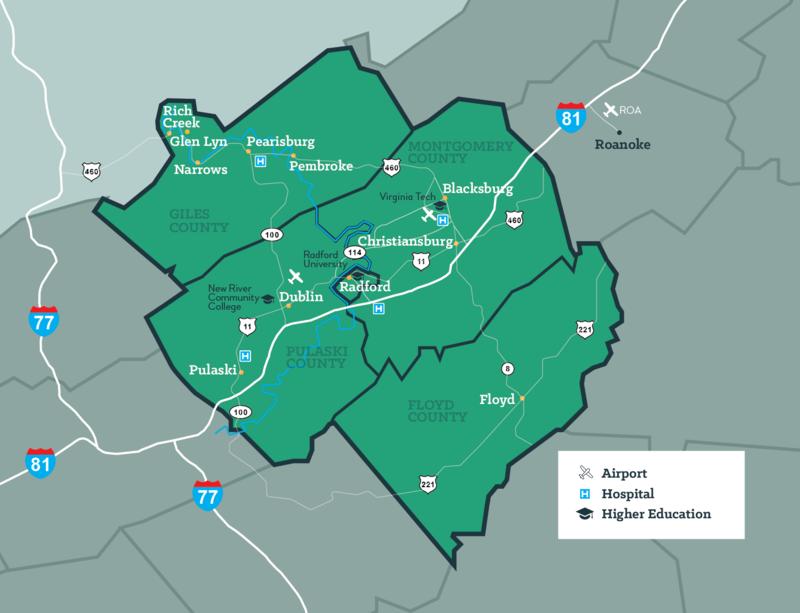 These encompass ten interconnected towns (Blacksburg, Christiansburg, Dublin, Floyd, Glen Lyn, Narrows, Pearisburg, Pembroke, Pulaski, and Rich Creek). The region is defined as a Metropolitan Statistical Area (Blacksburg-Christiansburg-Radford MSA) due to its high degree of economic and social integration. Floyd County sits high up on a plateau in the mountains, distinguishing it both physically and culturally from neighboring counties. Residents pride themselves on the friendly and open-minded nature of the many artisans, farmers, and craftsmen who call Floyd home. 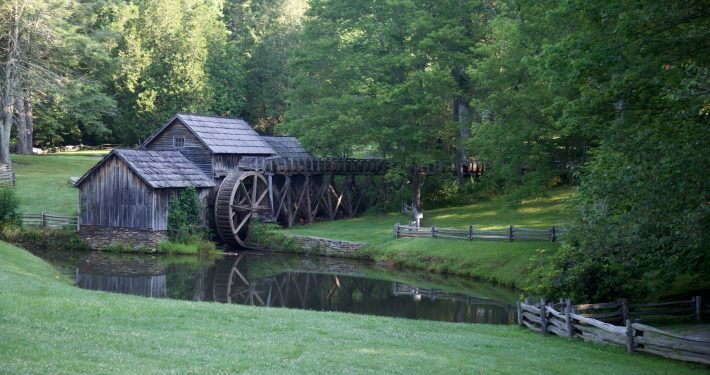 Giles County has a history rooted deeply in traditional manufacturing, but it’s the majestic mountains and the New River that closely tied the residents’ to home. 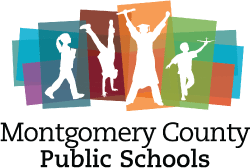 The County consists of five distinct communities: Rich Creek, Pembroke, Narrows, Glen Lyn and Pearisburg. Montgomery County contains the towns of Blacksburg and Christiansburg. 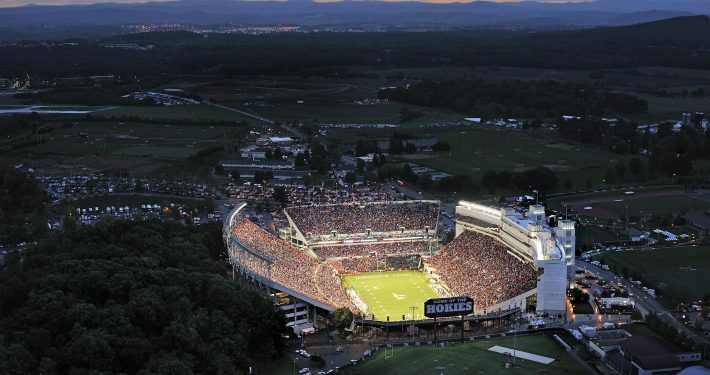 The county benefits from the energy of young professionals, cutting-edge technology companies, bustling students, and the abundance of resources offered through Virginia Tech, which is the area’s largest employer. 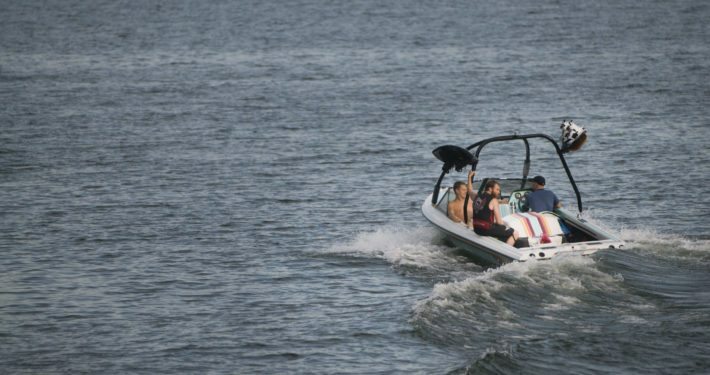 Centrally located in the heart of the New River Valley, Pulaski County is one of its fastest growing economic centers, with outdoor amenities. 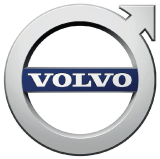 A number of international businesses have invested in the county, such as Volvo and Korona Candles. 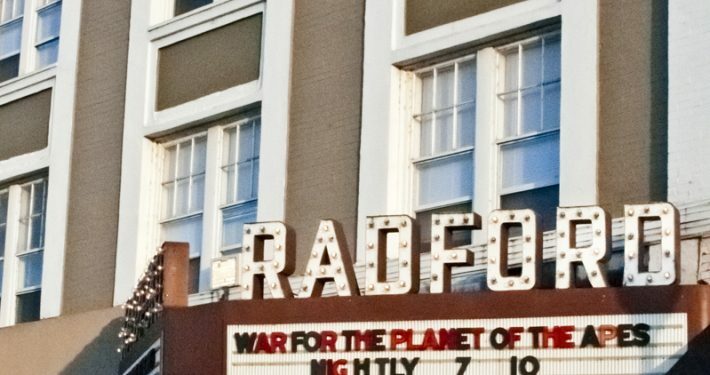 The City of Radford is a small independent city that has a symbiotic relationship with Radford University and its students. The city is home to 200 acres of riverfront and four parks: Bisset, Sunset, Wildwood, and Riverview. #8 best “emerging” area in the U.S. -Cities Ranked & Rated. The New River Valley is home to Virginia Tech, Radford University, and the New River Valley Community College. Each school has diverse fields of study and numerous student-accessible facilities, labs, and enrichment centers. 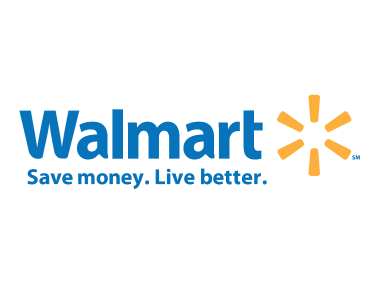 Many local and national companies recruit straight from these higher education institutions and the local high schools, which often partner with the community college to provide vocational training for area students. 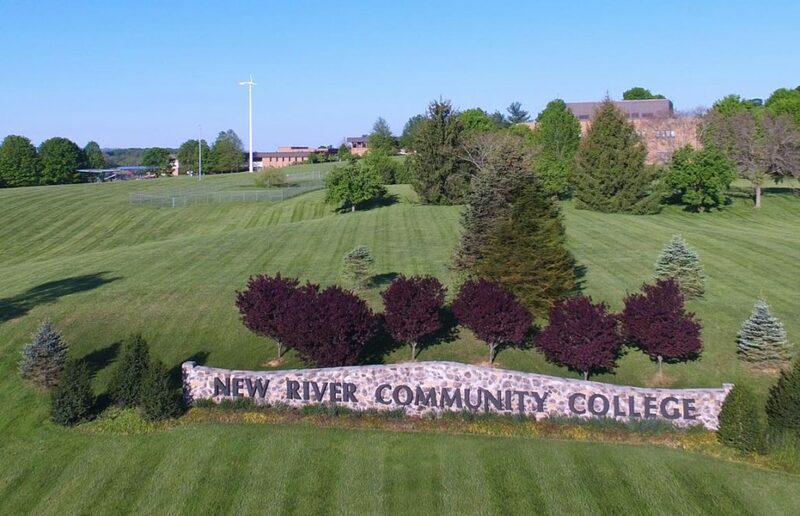 New River Community College’s main campus finds its home in Dublin, VA where it supplies the entire region with dedicated and skilled employees. 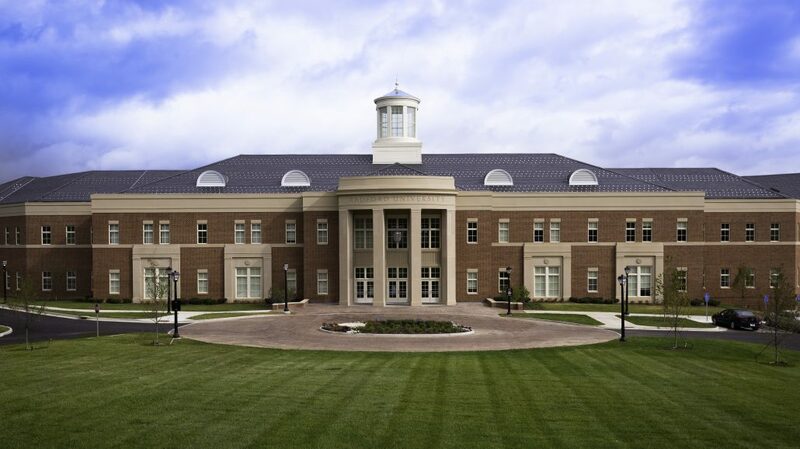 The satellite STEM campus in Christiansburg provides extra convenience for continued education, high school students who want to start their education early, and focused learning location for STEM students. Radford is home to almost 10,000 students and has received national recognition for many of its undergraduate and graduate academic programs. The University focuses on hands-on learning that equips its students for professional work environments and boasts a nationally recognized Cyber Security lab and a rapidly growing College of Business and Economics. Located in Blacksburg, Virginia Tech is one of the Commonwealth’s most comprehensive universities and its leading research institution. The campus sits on 2,600 acres and caters to more than 33,000 students. The University offers 250 undergraduate and graduate degree programs, has research facilities across the state, offers study-abroad opportunities, and owns and utilizes an 1,800-acre agriculture research farm. 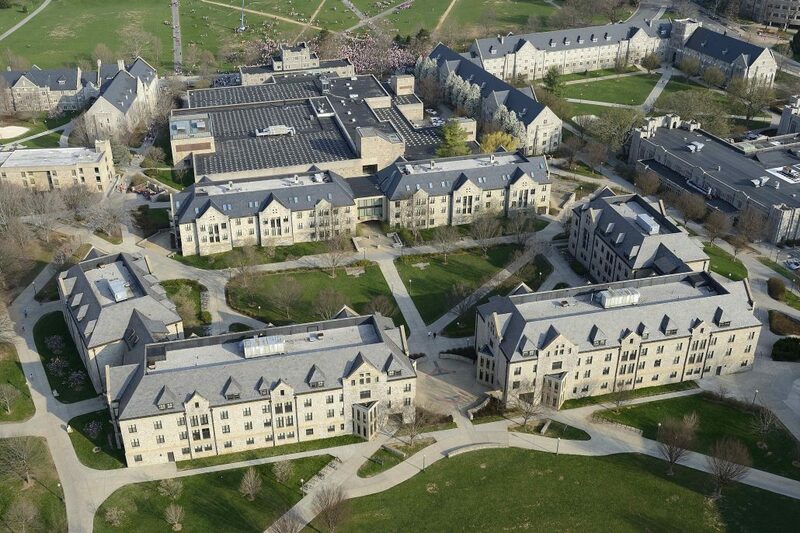 Located at the VT Corporate Research Center, the VCOM campus is situated just minutes from downtown blacksburg. VCOM operates within a public/private collaboration with Virginia Tech, sharing resources for the purposes of education, research and student activities. 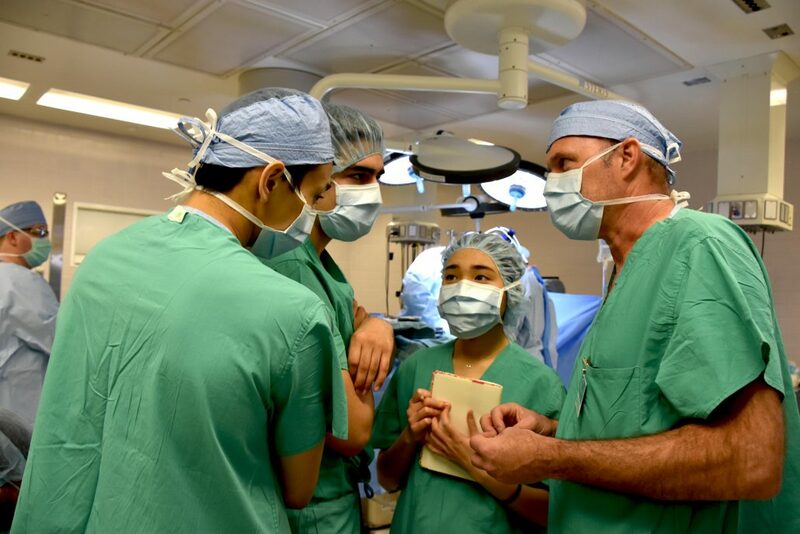 VCOM's mission is to prepare globally-minded, community-focused physicians to meet the needs of rural and medically underserved populations and promote research to improve human health.